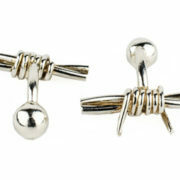 The silver Barb Wire Cuff Links are the latest addition to my range of contemporary barbed wire jewellery. 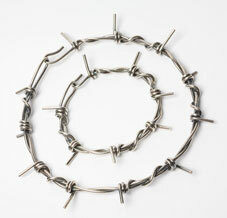 The Barb Wire Cuff Links are the latest addition to my range of contemporary barbed wire jewellery. 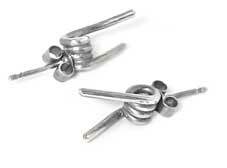 The silver cuff links are hand made and can be ordered in either a polished (shiny) or oxidised (blackened) finish, use the drop down menu. 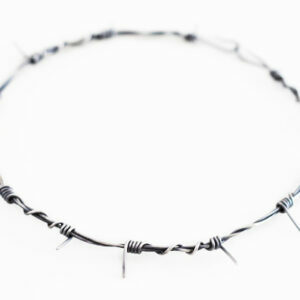 They’re made from 2mm round silver wire, twisted and formed to resemble barbed wire. The have a ‘ball & arm’ stem – a push through type attachement which is more modern and contemporary than traditional swing arm componants.